Handmade white ceramic plate in the form of a speech bubble from a comic book. Contemporary porcelain tableware in a modern style. An excellent conversation starter when you serve some snacks on this plate to your guests. 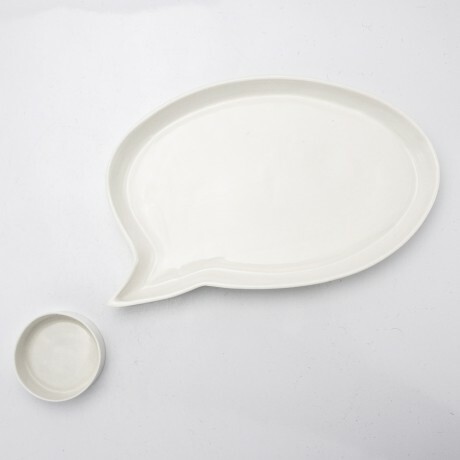 The Speech Balloon Plate is part of the project that continues the convention of interaction between the user and the object. It has a simple shape that is associated with communication. 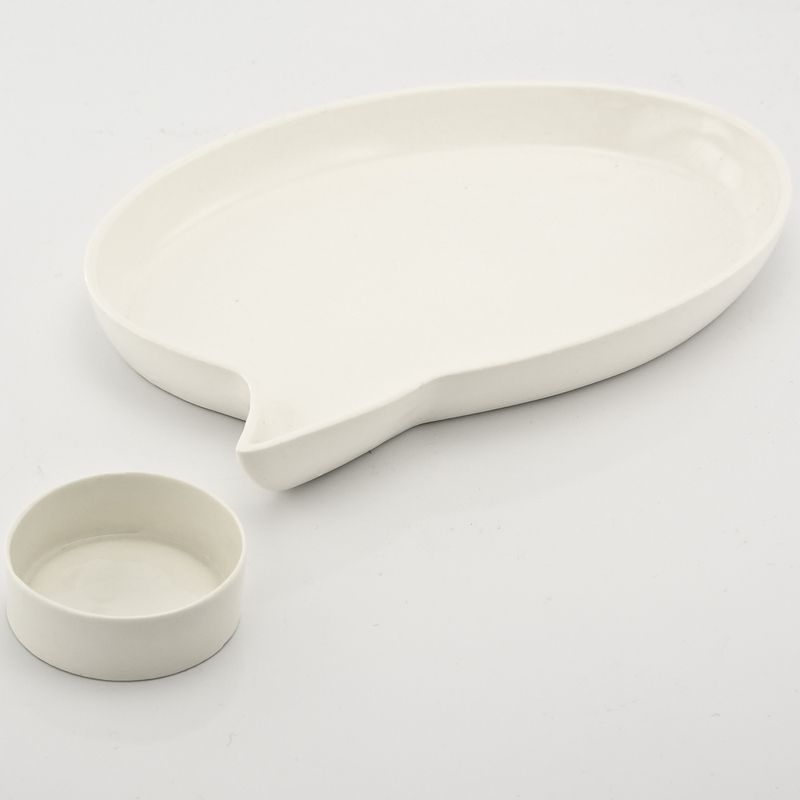 Perfect as a serving plate for sandwiches, snacks, cake or cheese. With this plate you will also receive the small container for sauce that is visible on the picture. 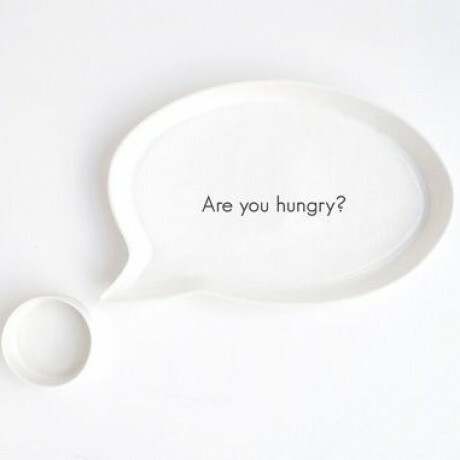 Available to buy in plain white or customised with your own text of up to 30 characters.